The highly adsorptive properties of Binchotan charcoal provides a purifying and balancing effect on sensitive skin. 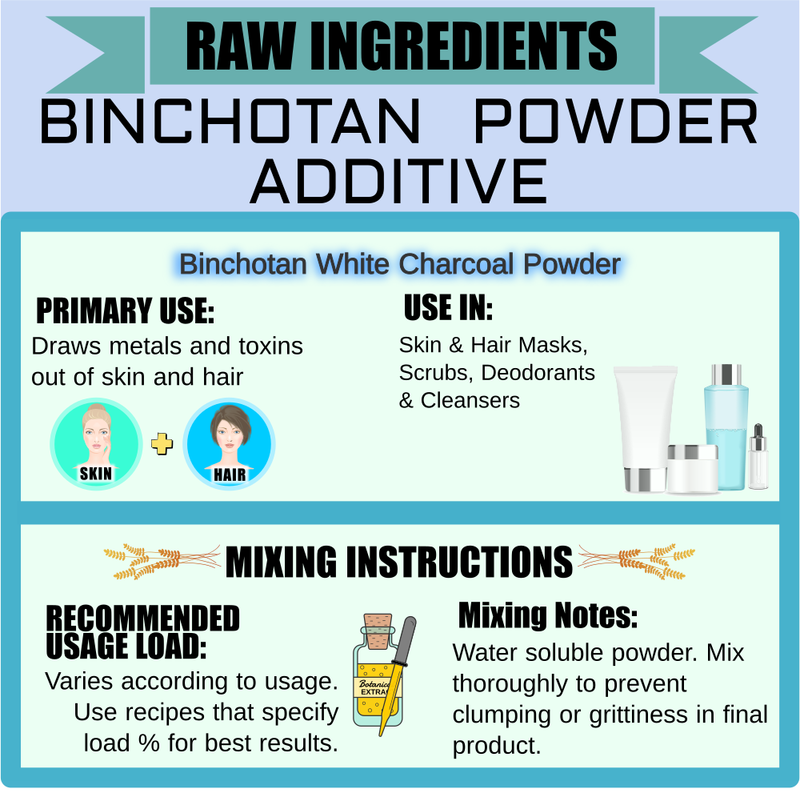 Binchotan White Charcoal Powder is a traditional, Japanese charcoal that is completely different from typical black charcoal. The starting material is Ubame Oak (Quercus phillyraeoides), a tree possessing great strength and hardness. The wood is heated to temperatures upward of 1000°C (1832 °F), followed by a covering with a moist mixture of earth, sand and ash to cool it. This gives a whitish hue to the charcoal surface, thus the name "white charcoal". 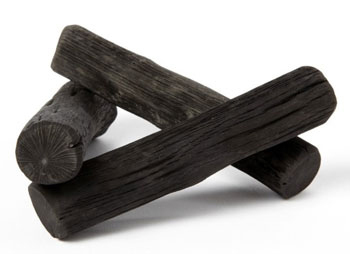 The resultant charcoal contains a variety of minerals that were absorbed during its life as a tree. The rapid rise in temperature, followed by a rapid cooling, incinerates the bark and leaves a smooth, hard and highly adsorptive surface. When used it can adsorb chemical substances such as impurities and oil on the skin and hair, making it a useful ingredient in soaps, shampoos, body scrubs, face masks and cosmetic products. Hydra-M, our newest formulation is an example of a product which can be improved greatly by Binchotan charcoal. Please Note: This product's inherent color is black despite having "White" in the name. Adsorb - hold as a thin film on the outside surface or on internal surfaces within the material.